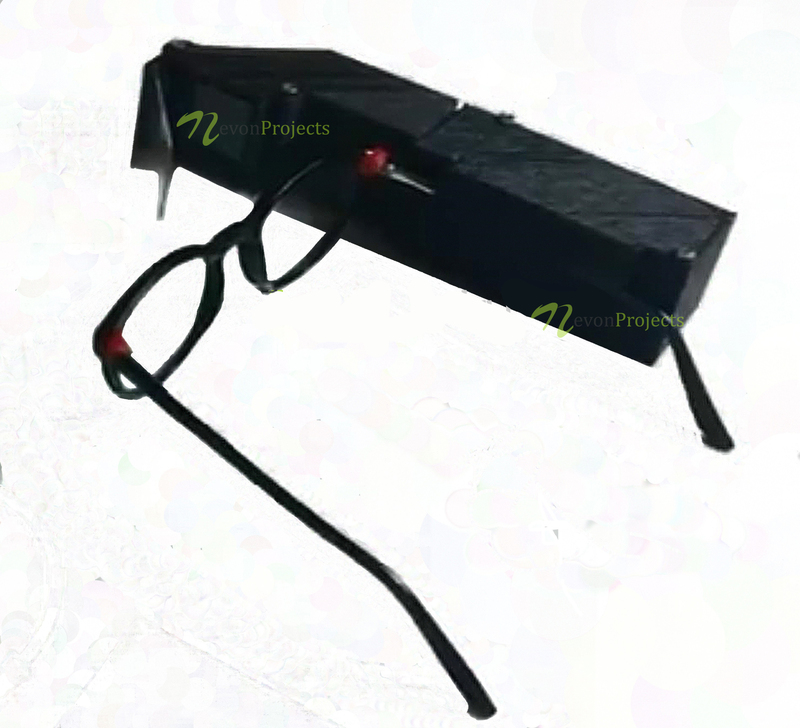 Here we propose smart glasses for electrical works for easy voltage measurement while working. Usually while testing/troubleshooting electrical works/PCB the person faces issues while placing probes on 2 points and looking at the multimeter at the exact time. This consumes a lot of time as well leads to faulty/improper measurements. 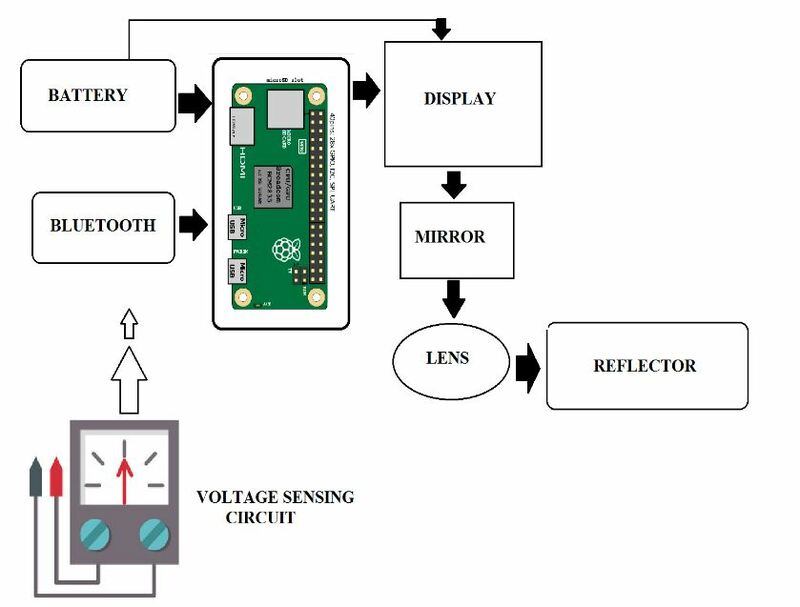 To solve this issue we propose to integrate voltage display through the users glasses for a virtual voltage display while troubleshooting/ testing the system. We use a raspberry pi based circuit for processing and displaying output. The glass frame is made using a smartly constructed miniature frame. The frame is constructed to fit a mini display along with circuitry and the display lens used for desired reflection on the glass frame. The system is fabricated so as to fit easily on a persons ears and enable the person to view the circuitry along with voltage measured. 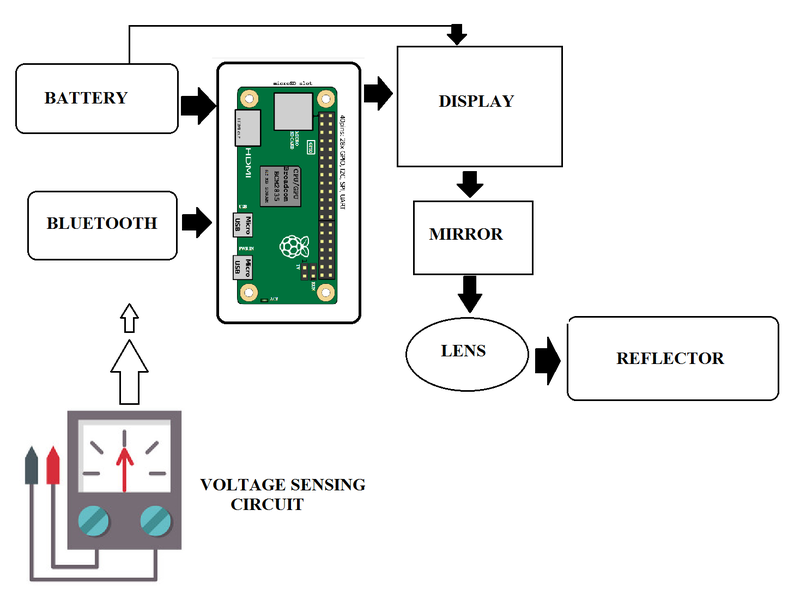 The circuit consists of a voltage measurement circuit that is integrated to the glass in order to get the voltage inputs to the raspberry pi display. Thus we have an efficient voltage measurement display using raspberry pi.